There are plenty of reasons why your garage door will not work properly. There are some problems that can you may be able to easily handle by yourself, but some issues call for the service of an expert repair technician. If you would like to do a little troubleshooting before calling us for help, here are some things you should be aware of. In order for your garage door to open and close smoothly, its tracks must be properly aligned. If you visually inspect them and notice that there their fasteners are getting loose, they could lose their position. While you're at it, you may as well check for any dents or misshapen sections. Your remote control can stop working properly for various reasons. Before assuming the worst, you should check to make sure its batteries haven't emptied out. This is something many people tend to forget to check, and the solution couldn't simpler. Just replace them. If the problem persists, then at least you saved some face. 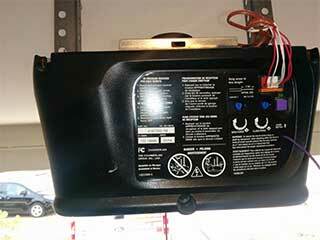 The sensors located on the sides of the opening of your garage send an invisible beam between each other. If the beam is obstructed by something it will not allow the doors to close and will cause it to reverse. Sensor realignment should probably be performed by an expert, as these components are quite delicate and must be handled gently. If their lenses are dirty, there is a right way and a wrong way to clean them. Consult with our service technicians about how this is done. Your opener is not always to blame when your door does not open. In some cases, this can be caused by a broken spring. These components support the weight of the door and help it move using a tension-based force. Spring Replacement is a job that is best left to the experts, as there are too many dangers involved for you to try and do this by yourself. You should be aware of how your garage door normally operates, in order to notice when something is out of the ordinary. Our service technicians can take care of any problem you may discover. We will perform a thorough inspection and determine exactly where the problem lies. Contact Garage Door Repair Phoenix when you need any type of professional assistance.